Web-swing into action in this Spider-Man T-Shirt & Mask Adult Mens Costume. 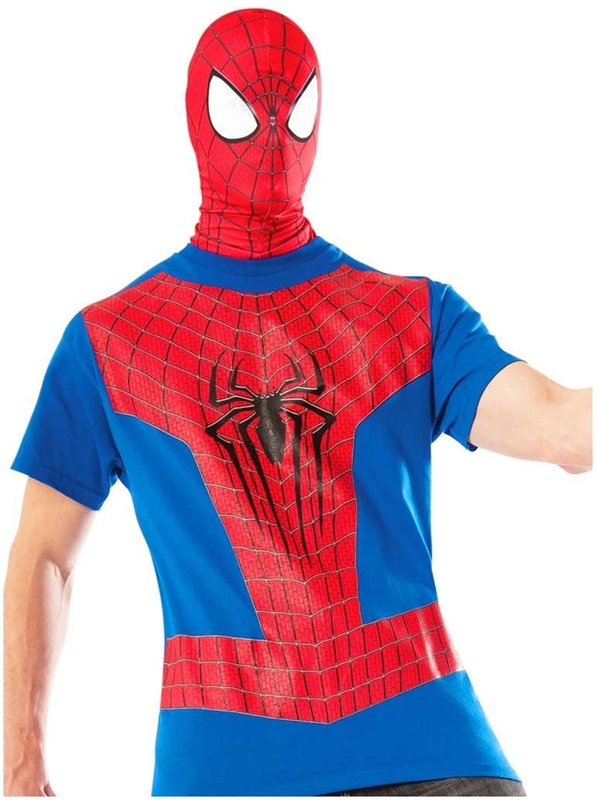 The 2-piece men’s Spider-man costume includes a short sleeve t-shirt and mask. The red mask is detailed with a printed black spider web pattern. It features white netting over the eye cutouts. The blue t-shirt is modeled after Spider-man’s costume. It features a screen-printed front web pattern with a large black spider at center chest. The web patterns on the shirt and mask feature an underlay pattern of vertical rectangles for added design. This quick and easy men’s costume is great for Halloween, Comic Con, or everyday wear.